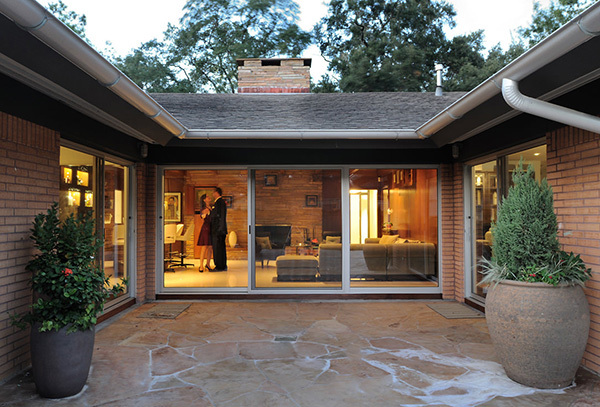 Our clients and friends Zoe and Dave Thompson opened up their home for the Houston Modern Home Tour. We’re very proud of this project. Built in 1955 and left basically undisturbed for fifty-some years until the Thompsons bought it, their house offered great cues for us to respond to, re-framing the best moments and re-working the rest to bring it into the 21st century. Dave and Zoe’s impeccable taste in art and furniture, along with their gracious entertaining, make this a really special house. The tour was incredibly well attended, and we had so much fun meeting everyone. We hope to be featured on another tour soon, we’ll keep you posted!